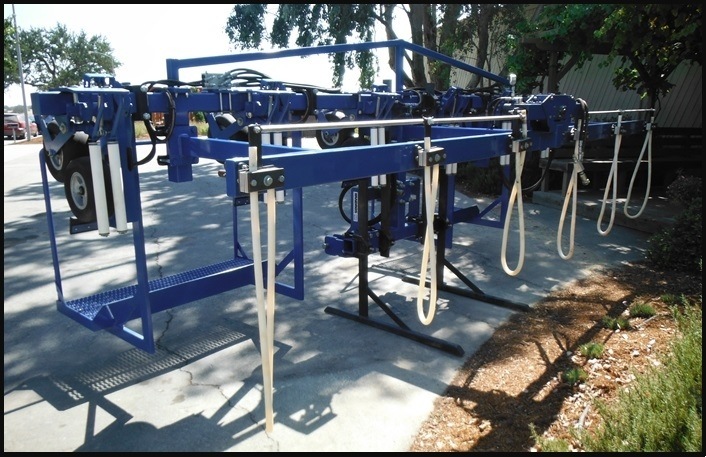 The Andros Drip Tape Extractor/Shaker Attachment is designed for users who need to lift tape from shallow injection depths, through lodged crops or both. Typical crops include, carrots, onions, strawberries and leafy vegetables. This system utilizes the Andros ML Extractor Head with a unique shaking attachment that imparts a shaking action to the tape that is very aggressive will not damage even the thinnest tapes. The extractor heads pull at a constant tension that is adjusted to match the strength of the tape being extracted. Extracting speed automatically adjusts to match tractor speed up to speeds of 5 MPH. Pneumatic pulling tires gently squeeze water out of the interior of the tape. 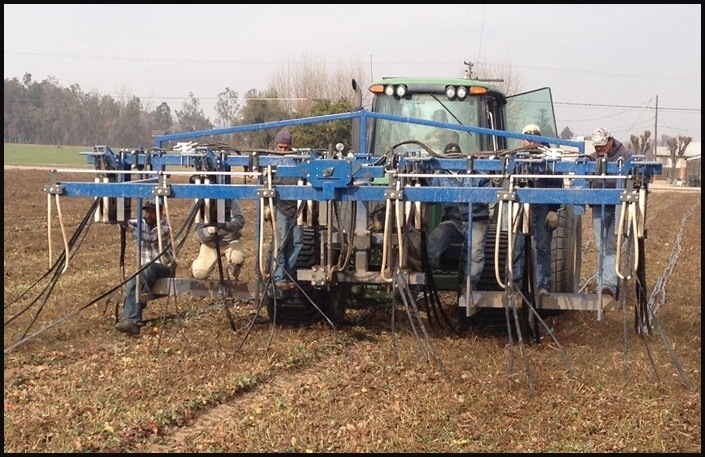 The shaker attachment imparts a motion to the tape that frees tape from the most aggressive plants and vines as well as allowing extraction from shallow soils depths without undercutting. 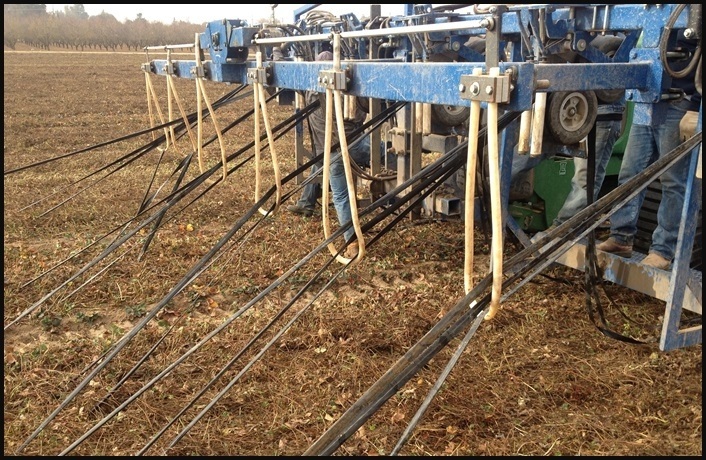 This permits removal of tape prior to harvest, and is especially helpful on crops such as carrots and onions that may combine buried tape with a lodged leaf structure. Lifted tape is left to dry atop the bed until retrieved end-of-row for reuse or recycling. Double 7X7 truss plate design for SDI tough jobs. The rollers into these systems help to pass tape through the machine in a smooth manner. The lifted tape is left to dry atop the bed until for retrieval end-of-row for reuse or recycling. Machines can be configured for Shallow or SDI applications. Closed Centered Hydraulics required, and 4GPM per head. Built for all most crops using drip tape.